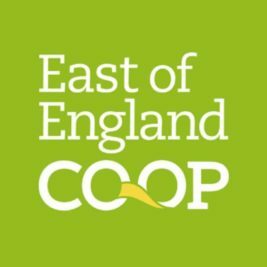 The East of England CO-OP is the largest independent retailer in the area with a wide range of businesses it directly operates as well as providing leased premises for many other companies. The CO-OP’s Energy Management team is working closely with SaveMoneyCutCarbon to build on an exhaustive energy and water saving survey of the group’s properties across Suffolk, Essex and Norfolk. Two businesses renting premises from East of England CO-OP and two of the group’s own companies focused on improving the quality of lighting while reducing energy consumption and associated carbon footprint, using savings to improve profitability. The CO-OP also commissioned LED lighting retrofits at two of its premises – Maldon Travelcare and Maldon Funeral Care to underline the retail group’s ongoing commitment to energy saving and sustainability. SaveMoneyCutCarbon, as a trusted partner, liaises directly with tenants to save CO-OP resources and delivering the most effective solutions that meet with the CO-OP energy-saving strategy. In the Felixstowe lighting project, an energy audit by the East of England CO-OP showed that the TOGGS shop – one of the units in the Great Eastern Square commercial development – had a low performance rating with lighting a prime candidate for improvement. The whole development includes the EOE CO-OP supermarket and a small complex of retail units, leased to a range of businesses who are responsible for their own energy bills. East of England CO-OP’s Energy Manager commissioned SaveMoneyCutCarbon to conduct a lighting survey at TOGGS to identify ways to improve lighting quality, while reducing energy consumption and associated carbon footprint. SaveMoneyCutCarbon surveyed the TOGGS unit and identified both energy savings and lighting enhancements with costs covered by East of England CO-OP as landlord. The expert SaveMoneyCutCarbon installation team found access to some of the old light fittings was impossible and that removal of others would need extensive repair and re-decoration work on the ceiling. In agreement with the TOGGS owner, the team solved the challenge by mounting new fittings to the existing ones. All old wiring, control gear and lamp holders were removed leaving just the body, before the team fitted 19 Luceco GU10 5W lamps, 5 Red Arrow 40W linear fittings and 4 Luceco 10W BC lamps. The new LEDs reduce electricity consumption by 42% compared to the old lighting with a similar reduction in carbon footprint. “We have a commitment to the triple test of sustainability. Environmental, Social and Financial. We are identifying small businesses in our tenanted portfolio who have significant room to improve energy efficiency at reasonable cost. Any way for a small business to reduce costs and overheads improves their business outlook. There is a sound business case for going green, particularly by adopting energy-saving lighting. “For TOGGS, this was also an ideal opportunity to improve the quality of the lighting, and therefore the appearance of their retail offer, at the same time as reducing their energy costs." “As a young small business, it was a challenge to consider implementing energy-saving improvements like LED lighting but with the help from East of England CO-OP, we were able to go ahead. As a clothing retailer, the quality of lighting is crucial and we were able to identify the best LED solution with SaveMoneyCutCarbon, testing sample lighting first." “Working with the East of England CO-OP as a trusted energy-saving partner means our survey and installation teams can deliver projects on time and within budget."